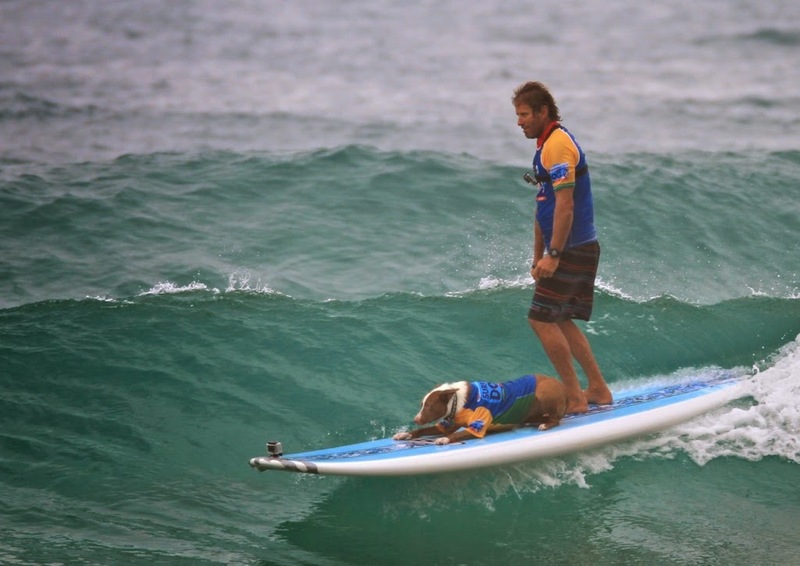 Surfing Dogs Are Back in 2015! Noosa’s world famous surfing dogs will be back at First Point next March with the return of the VetshopAustralia Surfing Dogs Spectacular, and organisers expect the biggest field ever. Since its introduction in 2012, the VetshopAustralia Surfing Dogs has evolved from a workshop to an exhibition and now a full-blooded contest (woof!) with surf-stoked dogs and their masters flocking to Noosa from all over to learn from the surfing dog trainer extraordinaire, former world tandem surfing champion and Waikiki beach boy Chris De Aboitiz, before going paw to paw in Noosa’s famous point break waves. Announcing the re-signing of VetshopAustralia.com.au, Australia’s largest on-line supplier of pet supplies, Festival director Phil Jarratt said the surfing dogs had brought an important new element to the Festival’s broad international appeal. This year the surfing dogs added Totally Wild to their impressive TV credits that already included Better Homes and Gardens and Sunrise. In 2015 the VetShop Surfing Dogs will be held over March 7-8, the opening weekend of the festival, with workshops and exhibitions on Saturday and the main event on Sunday. 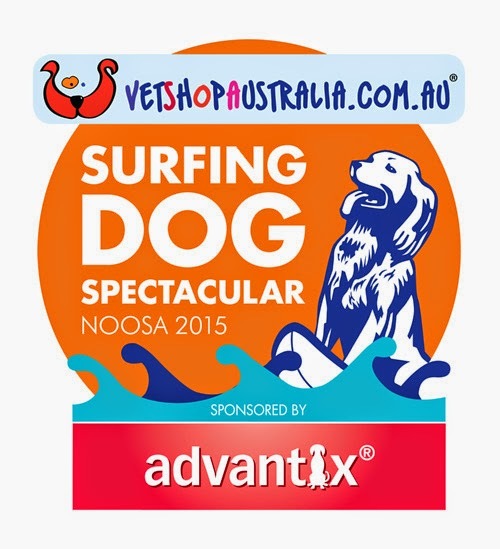 For further details on the 2015 VetShopAustralia Surfing Dog Spectacular please contact naomi.szabo@vetshopgroup.com or call 07 5453 4840.